A survivor of human trafficking in the past, the woman, who wished to be identified only by her last name, Puri, came to Japan in 2014 as an exchange student. Brimming with high expectations at the time, she said she was determined to acquire a master’s degree in sociology, with an emphasis on a subject dear to her, women’s rights. Imagine her disappointment, then, when her dream was cut short by the Japanese-language school in Tokyo where she was studying. The school taught her only the very basics of the language, lumped her in with unmotivated students who frequently fell asleep in class and — to her shock — informed her that a vocational school was the only educational path it could prepare her for. Being denied the opportunity to advance to graduate school curbed her academic motivation, throwing her plans for the future into disarray. Today, Puri finds herself trapped at a vocational school in western Tokyo studying tourism, a subject completely unrelated to her interest in gender issues. “I don’t know what I should do next,” she said. Puri’s plight highlights the apparently falling quality standards of Japanese-language schools and their shifting emphasis from education to commercialism, with some even turning into what critics call a hotbed of profiteering. These subpar institutes allow, or even actively arrange, illegal overwork on the part of students, facilitating their transformation into an unofficial, cheap source of labor in Japan’s rapidly shrinking workforce. Prime Minister Shinzo Abe’s government seeks to boost the number of foreign students to 300,000 by 2020, viewing their talent as vital to making Japan more internationally competitive. But a recent influx of students with low academic motivation highlights a disparity between the reality and the rosy goals Abe espouses. Justice Ministry statistics show that the number of exchange students hit a record 257,739 as of last June, up about 30,000 from a year earlier. The rise is due mainly to a spike in Vietnamese and Nepalese students, whom language institutes here have been bending over backward to attract to offset a recent decline in Chinese and South Korean students. Many students from these developing countries come here after being hoodwinked by brokers back home into believing they can make a fortune working part time in Japan, experts say. That Japan imposes no language proficiency test as a prerequisite for their entry — not to mention the fact that they are allowed to work up to 28 hours a week — makes Japan seem like an alluring option, they say. In line with this influx, the number of Japanese-language schools has increased steadily, from 461 in 2011 to 549 in 2015, according to the education ministry. While some language institutes are under the jurisdiction of that ministry or a municipal government, the majority are subject to no such oversight and simply operate as private companies — although they are required to fulfill guidelines set forth by the Justice Ministry before launching their businesses. This lack of proper monitoring has seen many language institutes engage in malpractice, allowing them to prioritize business over education and increasingly cater to Vietnamese and Nepalese students whose central motive is, by and large, to save money by working in Japan, according to Susumu Ishihara, president of the Japan Immigrant Information Agency, a Tokyo-based company that publishes a magazine called Immigrants for researchers and nonprofit organizations. “The Japanese government is gung ho about getting top-notch exchange students as ‘global talent,’ but in reality, such individuals are becoming harder to come by,” Ishihara said. Indeed, out of the 21,208 students at Japanese-language schools who advanced to higher education in fiscal 2014, an overwhelming 60.3 percent ended up in vocational schools, versus 26.4 who went to universities, according to a survey released in March by the Association for the Promotion of Japanese Language Education. It is against this backdrop that a cross-party group of lawmakers was established in November with the aim of crafting a law to better manage the Japanese-language education system. Currently, different ministries and agencies divvy up the responsibilities in the absence of a central policy, but the envisaged law seeks to correct this half-hearted government commitment by specifying which entity should be in charge. 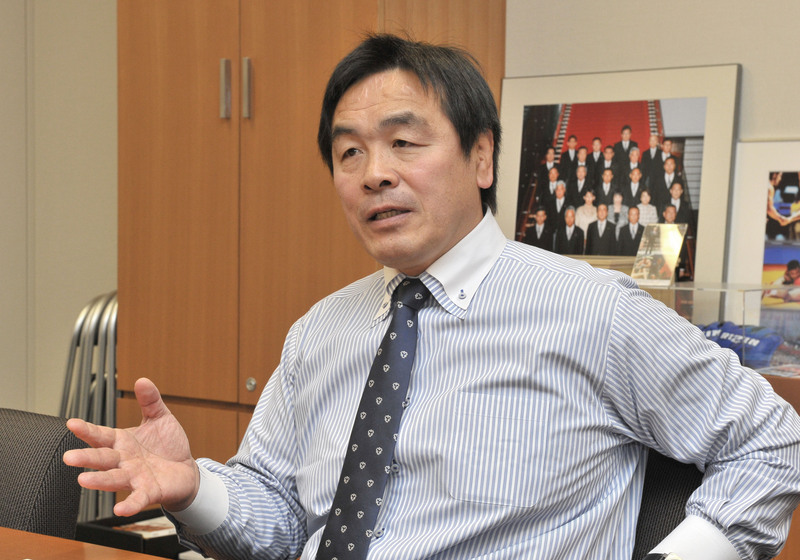 “We need to take the leadership role in solving this issue, with an eye to creating a relevant law and providing a common platform” to discuss it, Hiroshi Hase, a lawmaker from the ruling Liberal Democratic Party who serves as secretary-general of the group, said in a recent interview. One of the group’s priorities is how to eradicate malpractice, which is seemingly rife in Japanese-language schools. In Fukuoka Prefecture, three executives running a language institute were arrested last January for reportedly arranging for its Vietnamese students to work “part time” for up to 72 hours a week, far beyond the 28-hour limit currently permitted for exchange students, to make sure they did not default on their tuition payments. Schools in Gunma and Tochigi prefectures have made headlines for similar misconduct. The Okinawa-based newspaper Ryukyu Shimpo, meanwhile, reported in December that a language institute in Naha had confiscated the zairyu residence cards from 90 of its Nepalese students to keep them from running away. These incidents hardly strike Bijay Gyawali, a 33-year-old Nepalese clinical psychologist in Tokyo, as surprising. 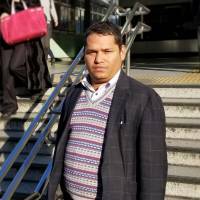 Gyawali himself recalls being told to surrender his passport to a language school in Saga Prefecture in 2007 after being informed that it needed to be “kept safe.” In hindsight, Gyawali says, the school probably wanted to keep him and other students on a short leash so that they wouldn’t run away. Students from countries such as Vietnam and Nepal have it tough. Many hail from ordinary working-class families and usually wind up deep in debt after paying tuition and other fees. 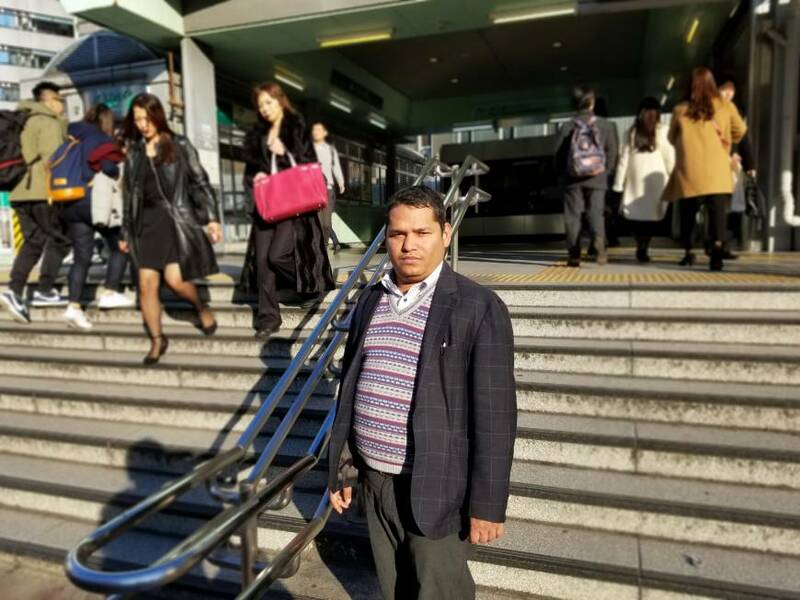 Like many others, Gyawali, then 23, found himself up to his neck in debt after paying about ¥1.2 million both to a consultancy firm in Nepal and the Saga language school when he first came to Japan on a student visa in 2007. As he put it, “¥1.2 million is big money in Nepal. . . . And after coming to Japan, my first priority was to work part-time” to pay off the loans. Gyawali had it better than most of his compatriots during his time at the language institute, thanks mainly to financial support he received from his family back home. He said that of the 400 Nepalese students who studied at the Saga school, only two — including himself — advanced to universities in his year. As a clinical psychologist, he has dealt first-hand with a number of debt-laden Nepalese students who overworked themselves to the point of depression. Everybody, he says, works well beyond the 28-hour limit and fears they might get busted by Immigration and deported at anytime. Distraught, some turn to alcohol, sometimes excessively so, before killing themselves. Gyawali, who works closely with the Nepal Embassy in Tokyo, said that last year alone at least four Nepalese students took their own lives. “Many persons who come here as students. . . . They’re not students. They’re workers. 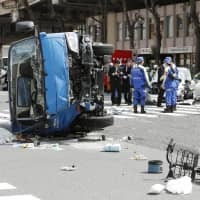 The Japanese government brings in lots of workers on a student status (because) it needs a lot of workers,” the doctor said. Masako Tanaka, an associate professor at Sophia University who has conducted extensive research into the situation in Nepal, said the dark side of Japanese-language schools doesn’t end there. She pointed out collusion between language schools in Japan and those in Nepal. Prior to their arrival in Japan, most Nepalese students learn rudimentary-level Japanese in their local language schools, which, according to Tanaka, now increasingly advertise their “easy admission” and “free-of-charge course” in vernacular newspapers. Those schools, she said, thrive on “rewards” they get from Japanese institutes for funneling students to them. Last time she checked, such shady under-the-counter payments typically amounted to ¥200,000 per head, she said. The professor says these backstreet profits have corrupted schools in Nepal, which no longer make an effort to hire good teachers and improve their classes. As a result, Nepalese students arrive in Japan these days with an abysmally low command of the language, she said. “The whole thing is turning into an underground business now. 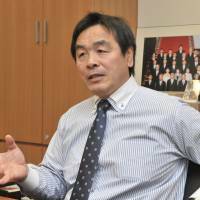 I’d say it verges on human trafficking,” Tanaka said.